Our popular GI Series enables accurate I.D. work on a broad range of part sizes. 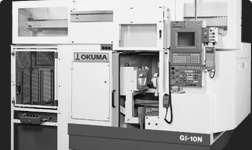 From bearings to jet engine parts, there is a GI Series grinder that offers a heavier base and Okuma-engineered drives and motors, all perfectly matched to create machines that hold tighter tolerances and deliver higher speeds and feed rates to get your job done better and faster. Simple, adaptable and compact I.D. CNC grinder. Easy-to-operate and versatile I.D. 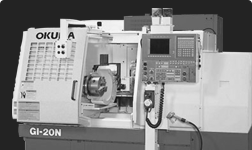 CNC grinder.